Your holiday would begin with arrival in New York - global city described as the cultural, financial and media capital of the world.Our professional tour guide will meet you as per the Airport pick up information Guests who arrive at JFK or LGA airport before 5:00pm will be sent to Flushing Queens. We will provide free luggage storage service, and our guests can visit nearby Queens Crossing. 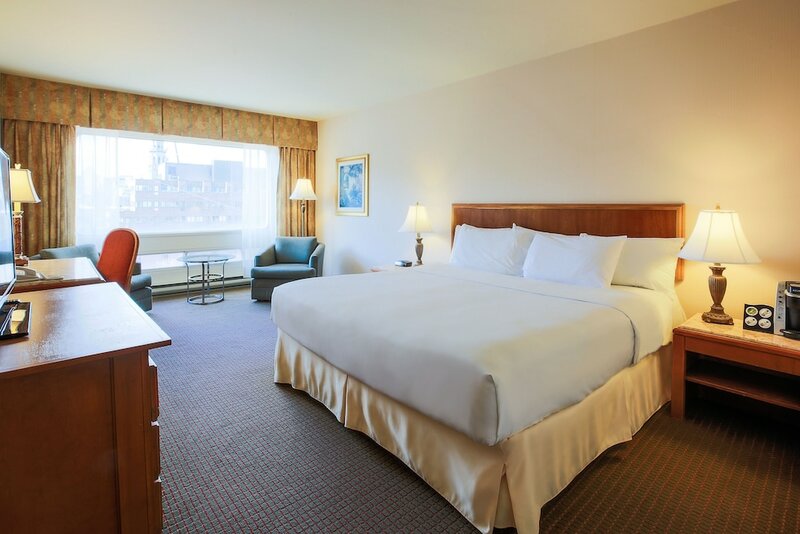 For those who arrive at EWR airport, feel free to take our shuttle to Jersey Garden Outlet and we will take you back to the hotel as soon as the rooms are ready to check-in. New York Morning Tour – For guests who meet tour guide before 9:00AM in JFK or LGA airport. Tour will at own expense ( Adult $25, Child $15) and Complimenteray transfer excludes $10/person . for guests who arrive before 4:30PM can join our tailored night tour to experience the charm of “the city that never sleeps. Enjoy a Night tour of New york by our experienced tour guide. Drive through the busy streets of Rockefeller Center , Times Square & an observation point in NJ Overnight stay at hotel. We will also Pass by: NYC Trinity Church, the Fifth Avenue, Rockefeller Center, World Trade Center and so on. One World Observatory - Adult $37/ Child $30.50 from age 6-12 Overnight stay at hotel . 3.Corning Glass Museum (Adult$19.50 , Child free under 17 years) Overnight stay at hotel . After breakfast ,We will leave for Fortune Global 500’s headquarter, Corning, to visit the Museum of Glass, which is dedicated to the history, art, and science behind glassmaking. After lunch, we are going to see the renowned Niagara Falls.Overlooking American Fall, the Horseshoe Fall and the Bridal Veil Fall, you will be astounded by the deafening roar of the falls. It’s the combination of height and volume that makes Niagara Falls so beautiful. The completeness of night view on certain summer evenings may be limited or not available due to late sunset time and Government regulations on driving hours . Also you do not wish to join the Niagara In-depth Tour, you can stay at the Niagara Falls State Park with longer free time. We will also pass by:, Boston Athenaeum, Boston Park, Swan Lake Park, and overlook the Golden Dome of the State House. Later we proceed to enjoy a scrumptious Boston Lobster Meal. Meal will at customer’s own expense (Adult $32, Child $32) Overnight stay at hotel. In the morning after breakfast, fun will begin as soon as you board the cruise ship and enjoy a breathtaking view of the Boston harbor. The next stop is the old Quincy Market. The Market was also surrounded by dozens of restaurants for dining option with a variety of authentic cuisines, and absolutely, you cannot miss the famous New England clam chowder. After sightseeing, you would head to the airport for your return flight, with valuable memories from your visit to East Coast. Day 3 Philadelphia – Washington, D.C.
1.Guests who arrive at JFK or LGA airport before 5:00pm will be sent to Flushing Queens. 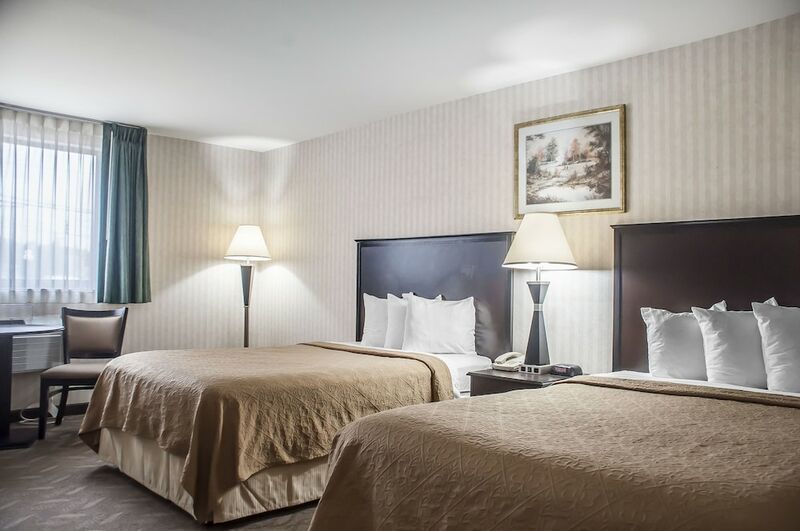 We will provide free luggage storage service, and our guests can visit nearby Queens Crossing, For those who arrive at EWR airport, feel free to take our shuttle to Jersey Garden Outlet and we will take you back to the hotel as soon as the rooms are ready to check-in. ~For guests who meet tour guide before 9:00AM in JFK or LGA airport, guests can join morning tour. At a first glance, travelling around the entire of New York City seems like the mission impossible; however, our highly organized tour is especially designed for you: by visiting amounts of famous landmarks, you will learn more of the city’s unique history, culture, and the core spirit of the New Yorkers! 1.The completeness of night view on certain summer evenings may be limited or not available due to late sunset time and Government regulations on driving hours. 2.If not join the Niagara In-depth Tour, you can stay at the Niagara Falls State Park with longer free time. If time allows, we will visit Ripley's Aquarium of Canada (Optional). 1.We will watch the IMAX Movie and take Niagara Falls Cruise either in U.S. or in Canada but for only once, which is subject to change upon actual situation. 2.Admission to the Ride-to-the-Top and Indoor/Outdoor Observation Deck Niagara Falls attractions is FREE when dining at Skylon Tower. 1.Itinerary will be subject to traffic and weather. The sequence of the attractions might be changed according to actual and practical situation for better service. 2.In case of attraction closures (due to holidays or construction etc. ), tour guide may make some necessary changes to the itinerary accordingly. Day 7Board flight to Vegas!!!! Welcome to NY!!!! Our representative will be at the airport for private pick up. Pick up details for each airport is given below. We will need the contact number of the passengers to facilitate transfers. ****one carry on and one suitcase per person only*****Experience a World class New York hotel located in Fashionable area of Midtown Manhattan when you check into the Luxurious midtown property PARKER with breathtaking views of Central Park and the Manhattan skyline. (Check in time 3 PM). ****Please note that the hotel may take your Credit card at the time of check in towards Incidentals. The hold on the card will be released once the guests check out if no charges are incurred********** Porterage is not included in the cost.Meet your tour manager at 7 pm in the hotel lobby to start the tour. Enjoy a wonderful buffet dinner at restaurant walking distance from the hotel. After dinner, enjoy free time at Times Square on own to see the city in action at night. Overnight at Hotel. Depart from the hotel at 8 am in the morning for your breakfast at an American restaurant. After breakfast, proceed to go on to the Statue of Liberty Ferry from Battery park. View the world famous iconic Statue symbolizing the country’s freedom. Lunch on own. Make a pit stop to see the “NY BULL” on Wall St. This bronze statue weighs 3200 kgs & is a symbol of financial optimism & prosperity. Enjoy a scenic view from the top of Freedom tower observation deck. This is now the tallest building on the Western Hemisphere and stands in place of Twin towers. We will make a photo stop at Ground Zero (entrance to 9/11 memorial is not included). Get down to get a closer look at Rockefeller center comprising of 19 high rise commercial buildings. Declared a national historic monument, you will be able to get quick photos of this landmark. Explore Souvenir shopping to take some excellent mementos back home. Dinner at Indian Restaurant. See New York at its best from a double-decker bus. In “The City that Never Sleeps,” the best sightseeing happens after the sun goes down. Discover the brilliant lights, stunning views and vibrant nightlife with double-decker Night Tour! Overnight at hotel. Get an early start to your day after breakfast & drive to Philadelphia (approximately 2 hours’ drive without traffic. Enjoy an entertaining guided tour of the largest city in Pennsylvania state (guided city tour). Our entertaining tour guide is a history buff, and he will relate the love of the city and a real sense of Philadelphia’s place in history to the group. Lunch on own. On your way from Philadelphia to DC, stop at DC’s latest happening waterfront destination with shopping, restaurants and DC’s latest attraction-Skywheel. This stately Observation wheel takes the riders as high as 180 Ft above the river, giving a wonderful bird’s eye view of Potomac river. Enjoy a Dinner enroute to hotel. Check into Marriott Tysons or Similar. Today after breakfast, Enjoy city tour of DC with a specialized guide covering all the major landmarks. See all the key attractions in DC and learn about the history and trivia that surrounds Washington on this interactive tour of the capital city. You will visit the major monuments on this quick and efficient At the end of the city tour, you will be given time at Air & space museum (1 hour and 30 minutes) to view all the different exhibits related to space & Aeronautics. Lunch on own. You will also be given time to visit museum of Natural history (1 hour and 30 minutes). Follow the amazing smell of cocoa beans on a delicious journey in an immersive chocolate ride at Hershey’s (2 hours drive). Dinner at Indian restaurant & check into Hotel (Hilton Harrisburg or Similar). After breakfast, our representative will pick you up from the hotel for airport transfer based on your individual flights (please note that check out time is 11 am). Packed breakfast option is not available for passengers taking early flight. Welcome to LAS VEGAS!!!! Your pick up will be done by our airport representative at Baggage claim for Domestic passengers on private basis. (in order for us to coordinate the pick-up, we need a valid contact number for the passengers). Check into Hotel PARIS (Check in time 4 PM). ****Please note that the hotel may take your Credit card at the time of check in towards Incidentals. The hold on the card will be released once the guests check out if no charges are incurred. If you would like to do an early check in, please check in with the front desk for any supplemental charges. Meet your tour manager at 6 pm in the hotel lobby to start the tour. Take a ride 46 stories up in an Exhilarating, adrenaline charged glass elevator of Eiffel tower in PARIS hotel to get an amazing 360 degree views of the city. 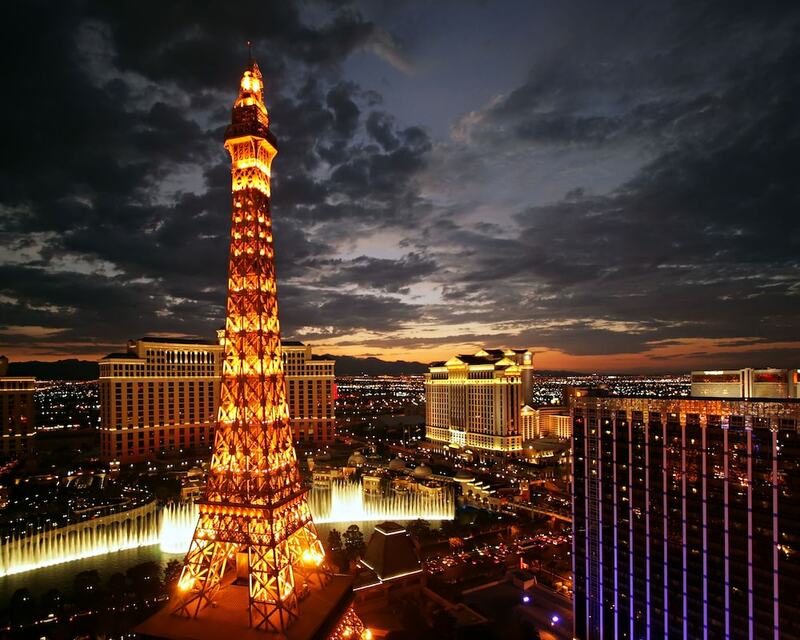 This attraction is half scale replica of world famous Paris, France Landmark and the views of bright, colorful lights are unmatched from the top(the attraction is open till 1 am and you can explore it on own. Tickets will be handed over by TM). Dinner will be at Indian restaurant (walking distance from the hotel). Overnight at hotel. There will be no coach this day!!! Today is a free day on own. If you have booked your Grand Canyon through us, our Tour manager will drop you off at the pickup location for your tour and Breakfast will be packed for those passengers taking the Grand Canyon coach tours. 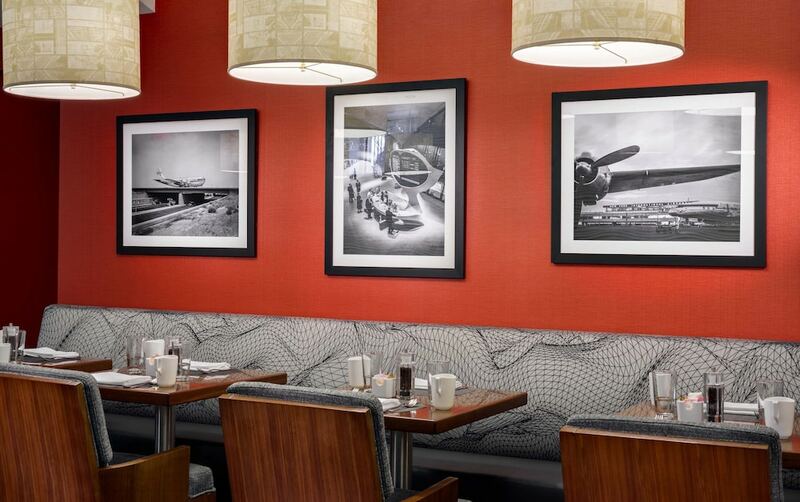 For passengers, choosing to not take the Grand Canyon, we will be arranging breakfast (continental) at St. Louis Café. Meet your Tour manager in the evening for Dinner at Indian restaurant and get on board Double-decker bus. As dusk falls, the city turns on. See the dazzling neon lights as you travel down the strip and roll past casinos, wedding chapels and historic landmarks into the heart of downtown. Dinner at Indian restaurant. Overnight at hotel. There will be no coach this day!!! After buffet breakfast at the hotel, have an early start & depart for Los Angeles. Enjoy some retail therapy at Barstow outlet mall for shopping and visit some of the most famous stores like Michael Kors and Nike. Lunch on own. Visit OUE Skyspace and experience a Panoramic 360-degree View from the second tallest building West of Mississippi. The building structure is designed to withstand earthquakes to the magnitude of 8.3 on richter scale. You will be taken to the 70thfloor to get a wonderful view of the city. You can also slide from one level of the building to another to get a glimpse of the city in its glory.Proceed for city tour of Los Angeles. Enjoy a guided tour of Los Angeles by our experienced tour guide. Drive through the busy streets of Avenue of Stars, Kodak theater and rodeo drive. Get your picture of the famous Hollywood sign from one of the vantage points. Enjoy wonderful buffet dinner at Indian restaurant.Check into Hotel for Overnight stay. After breakfast at the hotel, You will then be taken to Universal Studios to enjoy the full day at the park. This Sprawling Amusement park with thrilling theme rides, restaurants, shows, shops and one of the oldest real working movie studio in use is definitely a unique & fun filled experience for the whole family. Visit world famous store to get some local stuff for reasonable prices and shop for family and friends back home. Free time at Walmart. Dinner at Indian restaurant Overnight at Hotel. ****** the itinerary in Los Angeles is subject to change based on traffic conditions. Today after breakfast, you will drive to Natural bridges park (approximately 6 hours). This park and beach offer an excellent vantage point for viewing shore birds, migrating whales, as well as seals and otters playing offshore. Sync in a little more with nature and enjoy time at Santa cruz beach. You will get to see California’s oldest surviving amusement park right next to the coast line. Free time to enjoy the stunning views of the bay. Lunch will be enroute. From here, you will get to Enjoy buffet dinner at Indian restaurant. Overnight at Hotel. ~ We charge $10/person for bus entry permit and parking of Watkins Glen State Park. 2. We will visit Watkins Glen only when weather condition allows. In case of rainy weather, we reserve the right to change or cancel the itinerary considering safety issues. ~ The completeness of night view on certain summer evenings may be limited or not available due to late sunset time and US Federal Government regulations on driving hours. ~Jet Boat will be operated only when weather condition allows; in case of storm, snow, icy condition of the Niagara River, the boat tour will be closed for safety reasons. Minimum age is 4 years (minimum 40 inches tall). ~Tour fee only includes transportation, hotel. ~Tour fee excludes the meals, attractions tickets, service fee ($10/person/day), and any private expenses (such as hotel telephone charges, laundry etc.). Welcome to NY!!!! Our representative will be at the airport for private pick up. Driver will be at the Baggage claim for Domestic arrivals and Currency exchange for International arrivals. We will need the contact number of the passengers to facilitate transfers. ****one carry on and one suitcase per person only***** Experience a World class New York hotel located in Fashionable area of Midtown Manhattan when you check into the Luxurious midtown property LE PARKER MERIDIEN with breathtaking views of Central Park and the Manhattan skyline. (Check in time 3 PM). ****Please note that the hotel may take your Credit card at the time of check in towards Incidentals. The hold on the card will be released once the guests check out if no charges are incurred********** Porterage is not included in the cost. Meet your tour manager at 7 pm in the hotel lobby to start the tour. Enjoy a wonderful buffet dinner at restaurant (walking distance). After dinner, enjoy free time at Times Square on own to see the city in action at night. Overnight at Hotel. Depart from the hotel at 8 am in the morning for your breakfast at an American restaurant. After breakfast, proceed to go on to the Statue of Liberty Ferry from Battery park. View the world famous iconic Statue symbolizing the country’s freedom. Lunch on own. Make a pit stop to see the “NY BULL” on Wall St. This bronze statue weighs 3200 kgs & is a symbol of financial optimism & prosperity. Enjoy a scenic view from the top of Freedom tower observation deck. This is now the tallest building on the Western Hemisphere and stands in place of Twin towers. We will make a photo stop at Ground Zero (entrance to 9/11 memorial is not included). Get down to get a closer look at Rockefeller center comprising of 19 high rise commercial buildings. Declared a national historic monument, you will be able to get quick photos of this landmark. Explore Souvenir shopping to take some excellent mementos back home. Dinner at Restaurant. See New York at its best from a double-decker bus. In “The City that Never Sleeps,” the best sightseeing happens after the sun goes down. Discover the brilliant lights, stunning views and vibrant nightlife with double-decker Night Tour! Overnight at hotel. Get an early start to your day after breakfast & drive to Philadelphia (approximately 2 hours’ drive without traffic. Enjoy an entertaining tour of the largest city in Pennsylvania state (guided city tour). Our entertaining tour guide is a history buff, and he will relate the love of the city and a real sense of Philadelphia’s place in history to the group. Lunch on own. Drive to the beautiful city of Baltimore (2 hours’ drive approximately) Enjoy free time on own at Baltimore’s inner harbor offering a wide variety of restaurants, shopping, street performances and much more abroad Water Taxi. Drive to outskirts of DC to check into your hotel (approximately one hour’ drive). Dinner enroute. Check into Marriott Tysons or Similar. Today after breakfast, Enjoy city tour of DC with a specialized guide covering all the major landmarks. See all the key attractions in DC and learn about the history and trivia that surrounds Washington on this interactive tour of the capital city. You will visit the major monuments on this quick and efficient. At the end of the city tour, you will be given time at Air & space museum (1 hour and 30 minutes) to view all the different exhibits related to space & Aeronautics. Lunch on own. You will also be given time to visit museum of Natural history (1 hour and 30 minutes) Proceed to Hershey’s Chocolate world & enjoy a ride depicting the various stages of chocolate making. Dinner at Indian restaurant & check into Hotel (Hilton Harrisburg or Similar). The hotel is walking distance to the park. There will be no coach on this day of the tour. Today after breakfast, enjoy a 30 minute IMAX movie at the Niagara adventure theatre. To view you next attraction, Cave of the Winds, you will take an elevator ride- 175 feet below to get to a feel the power of Falls first hand. Geared-up in a souvenir rain poncho and specially designed sandals, guests follow wooden walkways along Niagara River to the Hurricane Deck. Do not forget to take extra pair of clothes as you will definitely get wet. You will also take a closer look at the Bridal veil falls in a boat ride abroad Maid of the mist. Lunch on own. Evening Free on own. Dinner at Indian restaurant & overnight at hotel. After breakfast, our representative will pick you up from the hotel for airport transfer based on your individual flights (please note that check out time is 11 am). Packed breakfast option is not available for passengers taking early flight. There are waterfalls that offer the routine scenery of a trail of water falling below, and then there is the breathtaking Niagara Falls. There is so much to talk about Niagara Falls that one definition might not suffice to describe the glory of this place. Located south of Ontario and 130 km southeast of Toronto, it is within easy reach of various major cities like Buffalo. Qualifying as one of the most preferred destinations in the world, Niagara Falls is visited by thousands of tourists every year. Apart from this, it also contributes enormous watts of hydroelectric power. Falls like Niagara are hard to be imagined as still and frozen. But a jaw-dropping fact about Niagara Falls is that it did freeze in 1848 for a few hours due to the ice jam in the upper river. To the relief of everyone, the water cascaded down again in a few hours. Another interesting fact about Niagara Falls is regarding its name. It derives its name from the word Ongniaahra, which means thunder of waters. Tourism became active after the inception of railways, which simultaneously increased trade relations between Toronto and New York. This paved way to a number of visitors flocking this place to get a glimpse of the falls. Presently, Niagara Falls is a flourishing picture of progress and development that is highly benefiting its tourism. Tourists planning a visit to this beautiful place can take flights to the nearby Buffalo Niagara International Airport (BNIA) or the Toronto Pearson International Airport.Niagara Falls - Read about Niagara Falls, Places to visit, Nightlife, Attractions in Niagara Falls. Explore Restaurants, Shopping centres and tourist places in Niagara Falls at MakeMyTrip.com. Tarisa Resort & Spa Mauri.. Indulgence in Bali - Beac..
Bangkok & Pattaya - Super..
Splendid Macau & Hong Kon..